Tony Flint of Terlingua posted bond yesterday (Tuesday, February 25) and was allowed to walk out of the Brewster County jail in Alpine. He was held after being charged with first degree murder on February 5 in the death of Glenn Felts. 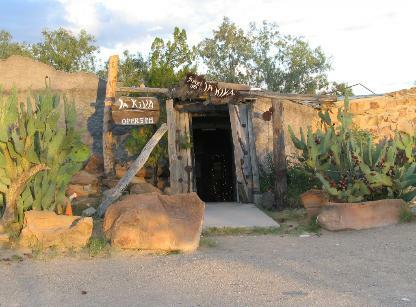 Felts was killed on February 4 in Terlingua in front of his bar, La Kiva. Flint was released on a $200,000 bond with a number of conditions, among them the requirement that he’ll have to stay in Brewster County and won’t be allowed within 30 miles of the Texas-Mexico border. That effectively means Flint won’t be allowed near Terlingua. District Attorney Rod Ponton had previously pushed to raise that bail to $400,000, but that motion was denied by District Judge Roy Ferguson. This entry was posted in KRTS News and tagged Brewster County, Glenn Felts, Terlingua, Tony Flint. Bookmark the permalink.